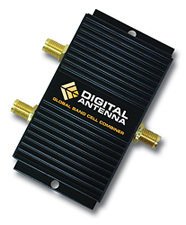 Getting the most out of your cellular signal booster is easy when you have the right accessories to create a solution that is perfect for your specific application. 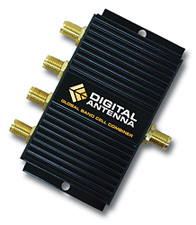 Digital Antenna's 2-way and 4-way global band cellular combiners work on all cellular bands including 4G (600-2200 MHz) and allow multiple cellular devices to be used simultaneously with direct-connect amplifiers and wireless repeater systems (cell boosters). All global band cellular combiners feature mini-uhf female connectors. Cables sold separately.